When it comes to building wealth, it pays to have a money team. As Thomas Stanley, author of the Millionaire Next Door, found in his research, the best wealth accumulators usually assemble a team of advisors when making important financial decisions. If you want to build and preserve your wealth, you need a money team, too. When you’re talking about something as important as your financial security, it’s crucial to get it right. With the right professionals on your side, you’ll have peace of mind – and end up with more in bank. A financial planner, or financial advisor, will help you look at the entire picture of your financial life. A planner will help you figure out how to accomplish your financial dreams by establishing goals, evaluating your current money situation, and creating a plan to help you get there. Even if you like to manage your own money, it’s helpful to have a trained eye to look for opportunities and risks you might not see yourself. Sometimes the most valuable thing a financial advisor can do for you is to prevent you from making emotional decisions. An advisor can help you with money management, investing advice, estate planning, insurance planning, business planning, and more. They’ll help you pull together the big picture of your financial life, and they’ll work with the other members of your money team to help you implement your financial plan. When choosing a planner, make sure you look for someone who is fee-only and is willing to work as your fiduciary. They should also have the CFP® designation. No money team is complete without the help of a good attorney. An important task for your attorney will be to create an estate plan. We all need a will, living trust, and power of attorney. These documents help friends and family navigate settling your estate according to your wishes. If you have children that are still dependent on you financially, this is extremely important. You want to make sure your children will be taken care of by a person of your choosing. Many of us will want a trust to protect our assets. And this is when having an expert can really help. For example, if you’re a doctor with a risk for a malpractice suit, some states have more favorable laws than others. When it comes to estate planning, it’s wise to have an expert. Depending on your investments and your financial situation, you may call on an attorney on a regular basis. They can help review business deals, real estate purchases, and more. Even if you consider yourself to be good with math, you’ll still want an accountant on your team. Many high income earners put more towards taxes than they do towards any other expense. With so much money at stake, it makes financial sense to work with an expert on tax strategy. Your accountant can help you prepare your taxes, offer appropriate tax shelter recommendations, manage depreciation schedules, and more. The more your wealth grows, the more you have at stake. An insurance broker will help determine the right insurance products to help you manage this risk. Insurance products can be complex. Take disability insurance as an example. There’s a wide range of products and prices available. Since disability insurance depends on your occupation, one person might not even qualify for certain policies. An experienced broker will help you navigate the insurance marketplace. Your financial planner and insurance broker will work together to help you create a comprehensive insurance plan. 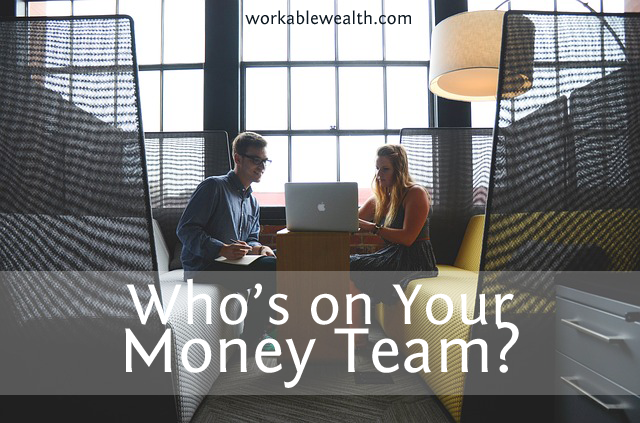 As a business owner, you’ll need a few more people on your money team. For one, you’ll want a seasoned attorney that understands your business. Depending on your business, you may need to consult multiple attorneys, such as a contract lawyer, patent lawyer, and so on. You might also benefit from working with a bookkeeper. 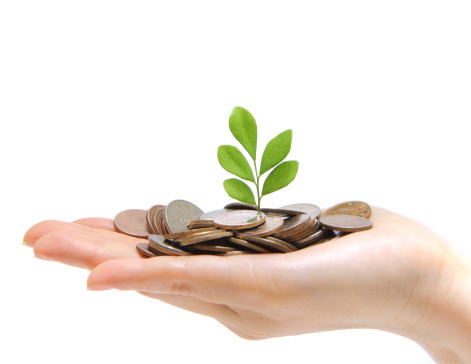 A bookkeeper will help you track your expenses and profits so you can make better money decisions on a daily basis. A money team is an important part of building your wealth. With smart people on your side, you’ll be able to optimize your financial picture to build wealth and create the life you want.